Located in Columbus, our mission is to empower individuals by connecting them with resources that address social determinants of health. ENCompass is an undergraduate student organization at Ohio State dedicated to bridging the gap between medical and social care. Poor health can be exacerbated by many factors, and by addressing needs indirectly related to their medical care, we hope to improve our clients’ overall health and decrease readmission rates. 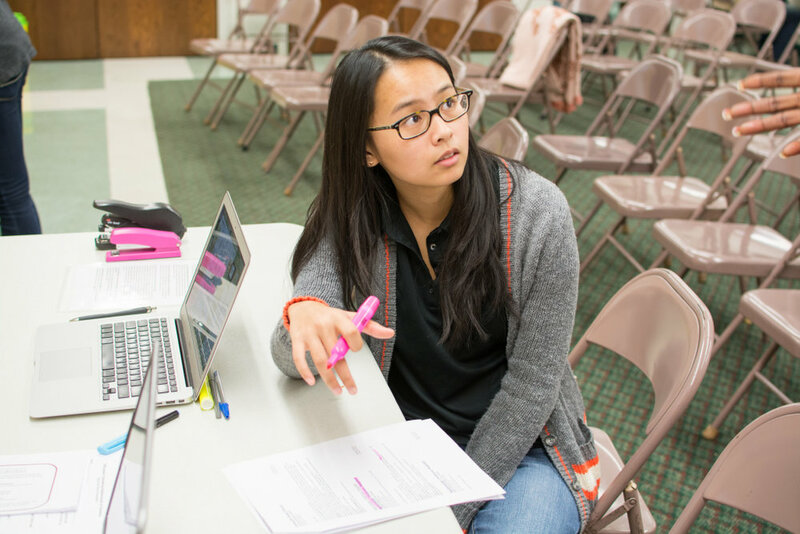 Using online resource database systems, our student volunteers connect clients to the many existing resources in Columbus that can meet their needs. These services are widely varied, addressing issues ranging from food insecurity and homelessness to lack of supplemental medical care. We aim to serve with professionalism, humility, and a respect for individuals and the community. The organization brings together students, advisors, and partners from a wide range of backgrounds and viewpoints, and it is our hope that student volunteers will leave with a more intimate knowledge of the community that supports their university and a deeper understanding of the need for holistic healthcare. Since April 2015, ENCompass have been offering its services at Gethsemane Lutheran Church Food Pantry, which serves as our primary social site. Formed as a partnership between the Clintonville-Beechwold Resource Center (CRC) and Gethsemane Lutheran Church, the pantry sets out to better reach the local Broadmeadows Boulevard and Salem Village communities. Gethsemane Food Pantry supplies fresh produce, meals, and a week’s worth of supplies from 6:00pm-8:00pm on Wednesdays and 11:00am-1:00pm on Saturdays. Total Health & Wellness (TH&W) is a primary care clinic operating out of OSU's University Hospital East. 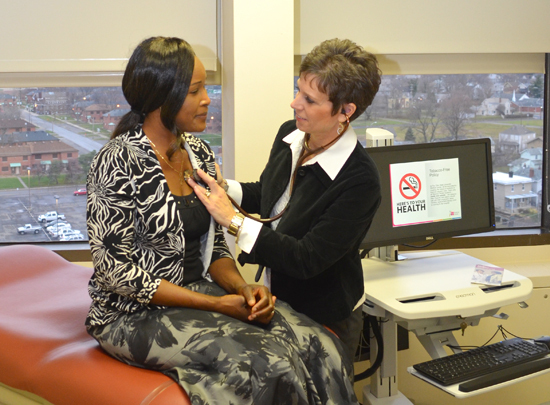 Led by nurse practitioners, the clinic offers comprehensive primary care to the medically under-served in Columbus. ENCompass began its partnership with TH&W, the primary clinical site, in May 2015. Each day, TH&W is committed to providing quality healthcare, with programs ranging from mental health management to lifestyle improvements. Volunteers have built relationships with the staff on board, including the social workers and pharmacists. ENCompass volunteers help patients in the waiting room find social resources while they are waiting to see their primary care provider. Westside Primary Care Center is one of Nationwide Children’s eleven primary care clinics in the central Ohio area, providing comprehensive primary care to children from birth to 21. The primary care staff comprised of physicians, nurses, and social workers serves families from a host of social and cultural backgrounds. Partnership between ENCompass and Westside Primary Care Center began in the Spring of 2017 and together, volunteers and primary care staff members work to bridge the gap between health and social care. Beginning in late 2016, ENCompass has provided its services at Neighborhood Services Inc. Since 1965, Neighborhood Services has diligently worked to alleviate the effects of poverty in Columbus by providing food and material assistance to those in need. Located near the intersection of 18th Street and 4th street, Neighborhood Services targets a community in the Ohio State University area and beyond. Among their many services, the pantry is open Monday – Thursday from 10 AM to 1 PM. Applications for the 2018-2019 academic year are currently closed. Please check back again at the beginning of Autumn Semester! Email shamansky.10@osu.edu with any questions or concerns. Feel free to contact us with any questions or concerns using the form below! Please support our sponsors, they help make our work possible!